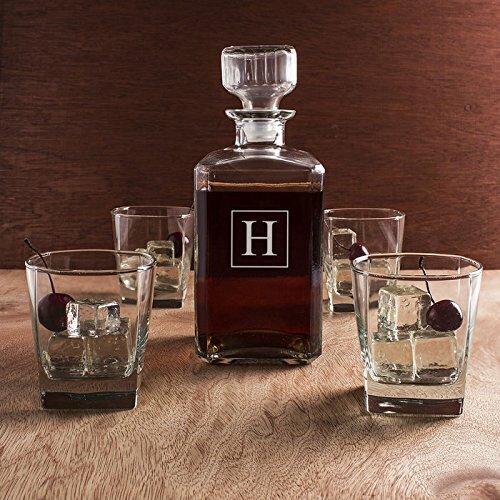 This attractive lead-free crystal decanter set, handcrafted in Europe, captures the essence of a traditional round bottle, with a narrow neck and a round stopper. Matching lead free, crystal glasses make this the perfect gift set for any occasion. 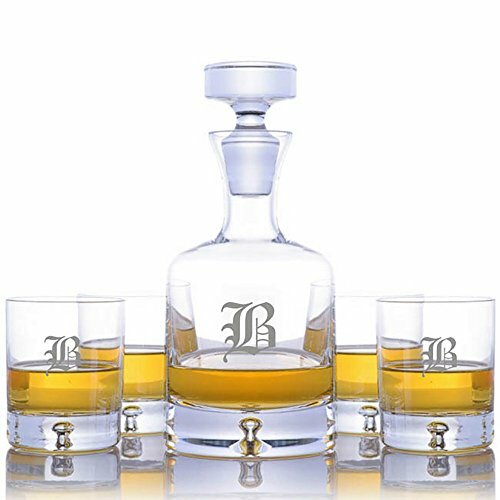 Decanter: Height: 10 in. Capacity: 34 oz. Glasses: Height: 4 in. Capacity: 10.5 oz.